My friend Jackie introduced me to a lovely health food café in Ibiza on our last trip called “Passion”. 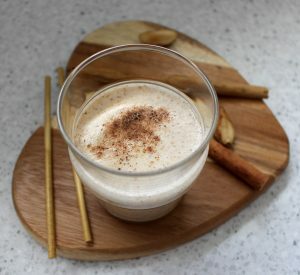 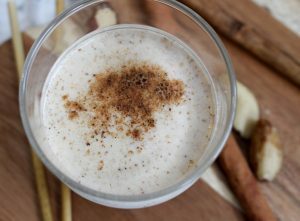 I had a nutty latte there a couple of times and felt inspired to try to recreate this back at the boat so here’s the recipe that I came up with. 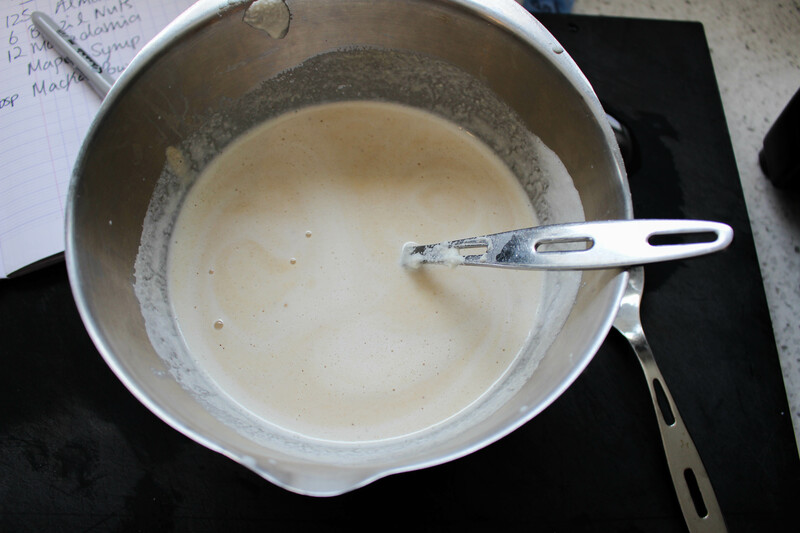 This recipe made around 1litre so could easily make four cups or two large latte’s. Take two airtight containers, place almonds in one and brazil nuts and macadamia nuts in the other. 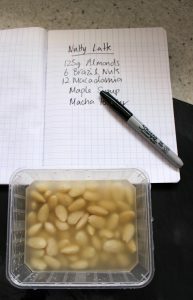 Cover with just enough cold water to submerge the nuts and soak overnight in the fridge. . 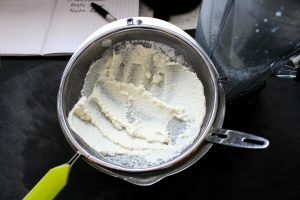 The following day, take a blender and on the highest setting blitz the almonds and water they have been soaking in, adding more water if necessary to achieve a loose double cream consistency. Pour the mixture into a sieve over a clean bowl and sieve the mixture so that you are left with almond milk in your bowl. 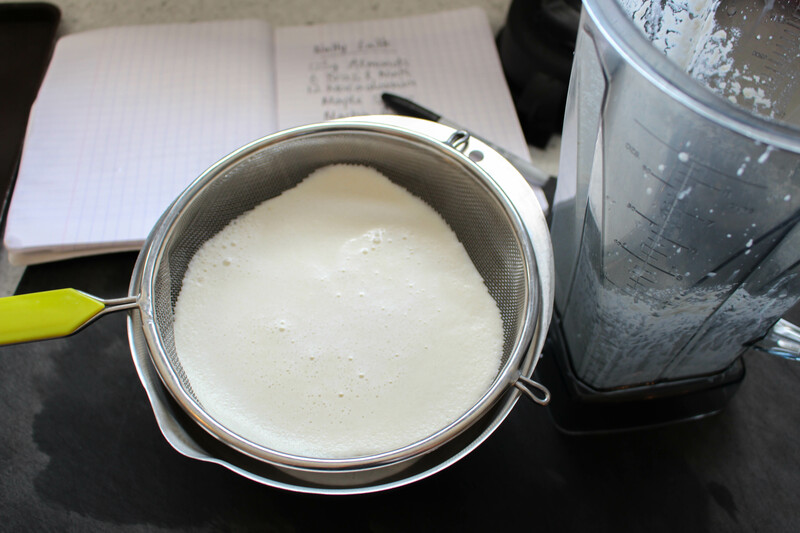 Return the almond milk to the blender then add the other nuts. Blend this on a high setting, adding more water again if necessary.